This morning 42 birders boarded Project Oceanology's 65-foot boat out of Groton, CT to explore the Connecticut waters of eastern Long Island Sound (thanks to Phil Rusch organizing a trip sponsored by the Connecticut Ornithological Association). An organized CT boat trip has not been run in many years. Why the special occasion? From late-December through mid-January, an unprecedented incursion of winter pelagic birds was noted in the middle of eastern LI Sound along the CT/NY border by birders who rode the ferry from CT to Long Island. 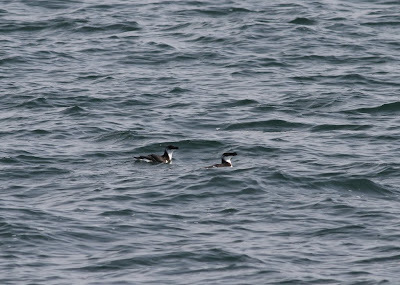 During this period birders recorded several Black-legged Kittiwakes and Common Murres and at least two Thick-billed Murres. 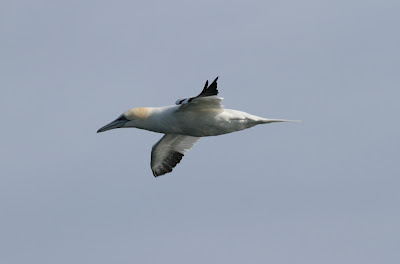 In addition to the rarities were impressive numbers of Northern Gannets, Razorbills, and both loons. Even Minke Whales were reported from the area!! Clearly there was an abundant food source to be consumed. Phil's brilliant plan was to charter a boat and spend a few hours working this stretch of Long Island Sound. He found a great boat at a fair price (came to $40 per person for 4+ hours on the water). The original date was actually 2 weeks ago but was unfortunately canceled due to snow. We rescheduled for today and headed out under sunny skies and a 10mph WNW breeze. When we reached the target area, we were incredibly disappointed to find no life whatsoever. Couldn't even scratch up a gannet or Herring Gull. Unbelievable! Apparently the food source had moved out, and so had the birds. We were a couple weeks late. 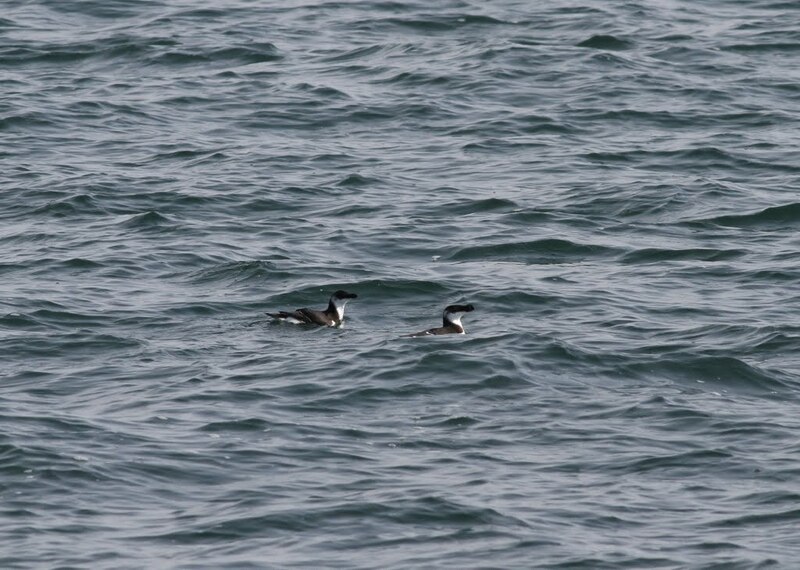 Halfway through the trip we decided to cut our losses and head inshore to Fisher's Island Sound where there had at least been very recent Razorbill sightings. We were relieved to run into a few RAZO, which included some nice looks at an adult-immature pair feeding off Ram Island. We also had an uptick in general birdlife. Multiple adult Northern Gannets flew by, and we were able to observe Common Eider and Surf & White-winged Scoter as well. Not exactly what we had hoped for, but it was a great day to be on the water with a few dozen really great birding friends.